This 7 Day Prayer Calendar is for ALL of us to pray daily from Sept. 11-17, during the week preceding our small group kickoff. Let’s commit to laying a massive foundation of prayer for our church’s “Forgotten God” fall sermon and small group series! Here’s how: Print this document – 7 Day Prayer Calendar before kickoff. Then, email or mail a copy to your group members (or send a link to this post). 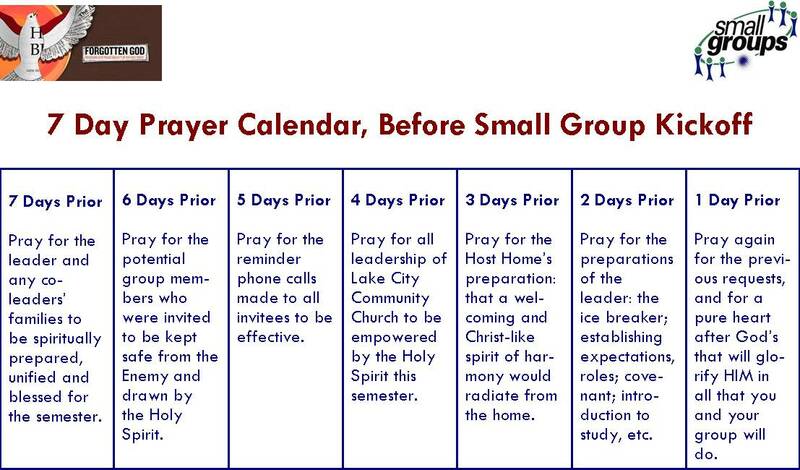 Finally, make yourself accountable to your spouse or prayer partner, and pray, each of these days for your small group! Please make good contact with your returning members and the new contacts forwarded to you. People are anticipating getting plugged in this fall! Praying together at the end of a small group meeting is one of the real challenges for almost every small group. The very common fear of public speaking (number #1 fear for many) is compounded by the unspoken belief held by many that it’s important to speak an unfamiliar dialect when praying. Distribute index cards and pens and ask each person to write out a simple one sentence prayer request. Swap cards and read them aloud. Pull a chair into the middle of the room and suggest that since Jesus said, “For where two or three come together in my name, there am I with them (Matthew 18:20), “in tonight’s meeting let’s speak to Jesus as if He was right in that chair. Ground rule: You can only pray for a personal concern tonight. Nothing for your sister’s husband’s co-worker’s daughter. Ask your members to pair up or get in groups of three. I’ve written much more about this idea in The Power of a Spiritual Training Partner. Read Psalm 8 from a modern translation. Move the group outdoors and ask each person to thank God for a specific aspect of nature. Many of the Psalms are actually prayers. Have each member choose a section of a Psalm they can identify with to share as their own prayer. Print copies of Psalm 61 (or a Psalm of your own choice) from The Message. Have your members read it aloud together. These are just a few ideas. There are many, many more that will help leaders and members who struggle with this powerful aspect of group life. Do you have one that’s worked for you? 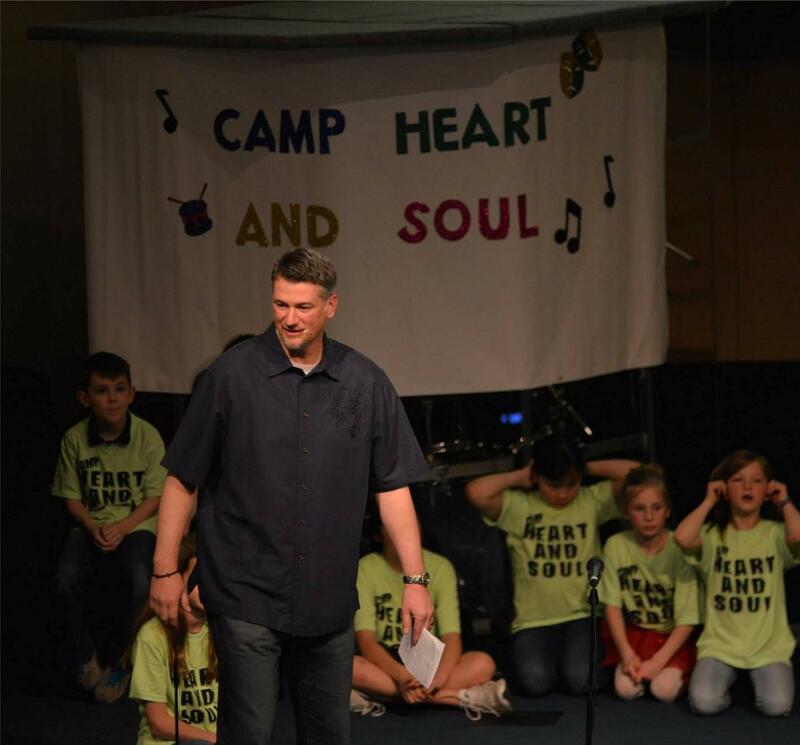 Use the comments [or the LC3 Small Groups Community forum] to share it with the rest of us!